« Law of Attraction instructional Music…”Time”…Magic! This entry was posted on March 13, 2007 at 10.34	and is filed under Community, Creativity, Energy, Imagination, Mandalas, Peace, Spirituality, The Art of Change. You can follow any responses to this entry through the RSS 2.0 feed. You can leave a response, or trackback from your own site. 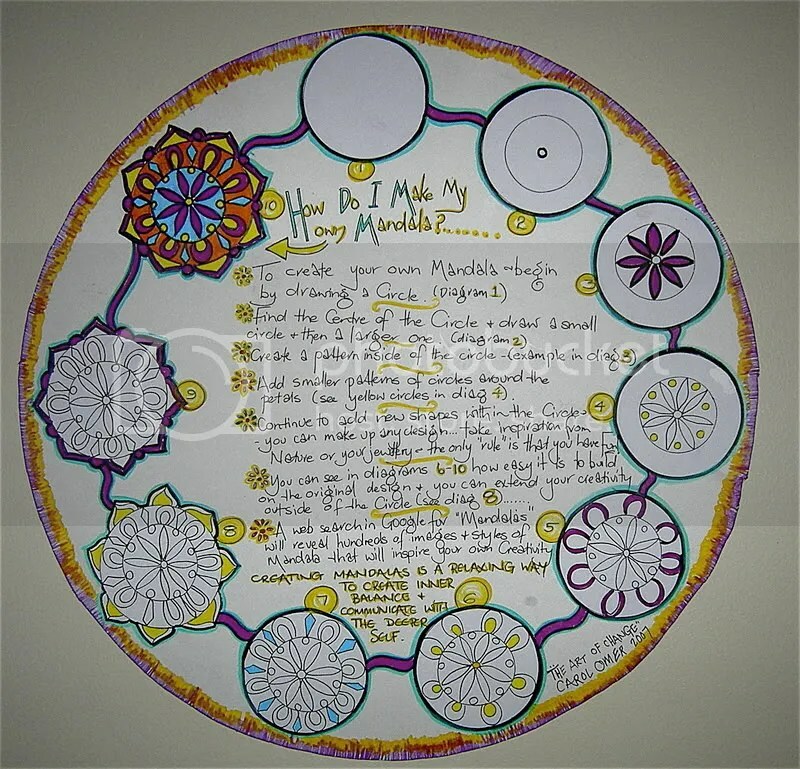 Nice visual how-to in making a mandala.Do tell more about it. My Granddaughter used your diagram to learn how to make her own Mandala. We spent a pleasant afternoon creating. She was quite pleased with the result and showed her friends at school.